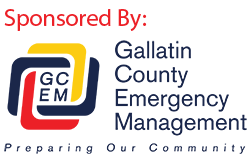 Weather Spotter Training Thursday, May 7, 2015 7:00 PM at Bozeman Public Library For additional information please contact Patrick Lonergan at (406) 582-2395. Date: April 28, 2015, 6:30 AM Contact: Kerry O’Connell, 406-539-2559 Repairs to the fiber cut and testing of the lines were completed by about 5:30 this morning. 911 service from landlines is now restored to these areas. Despite todays effort she was not located. A smaller scale operation will continue tomorrow.